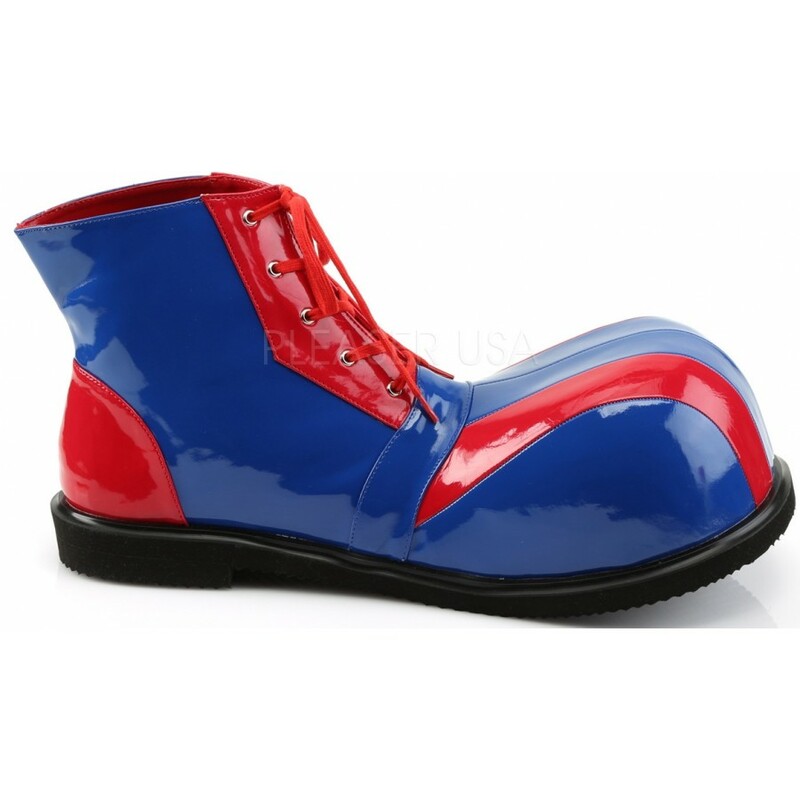 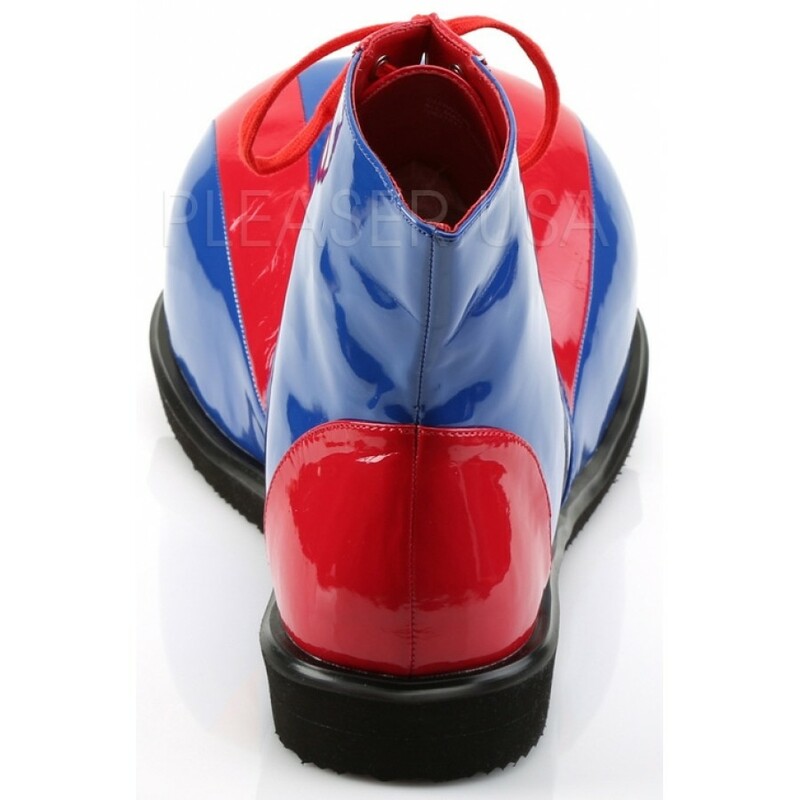 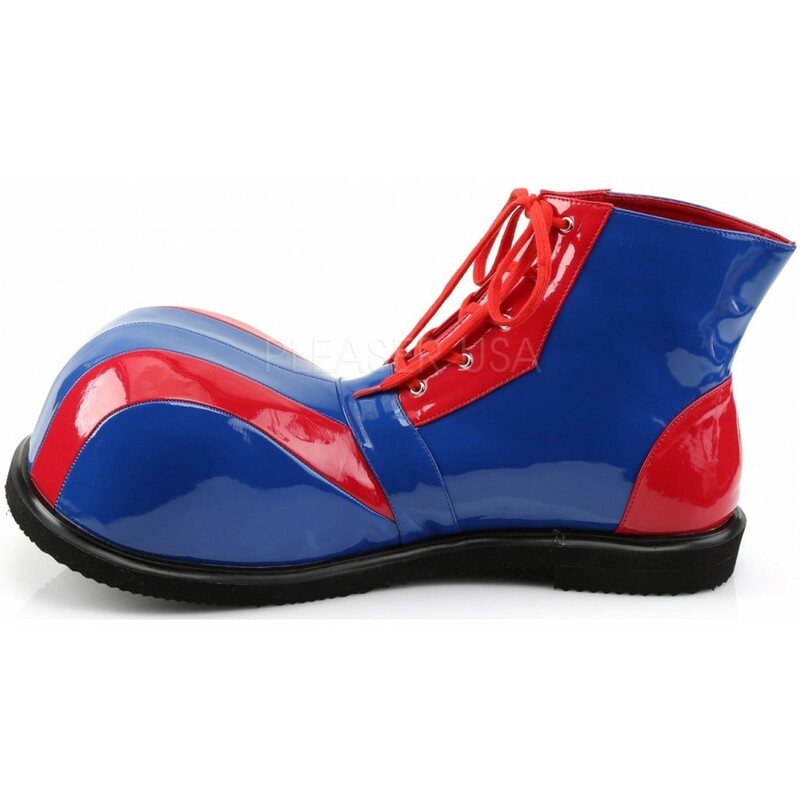 Bright blue and red adult clown shoes have lace-up front and oversized toe box. 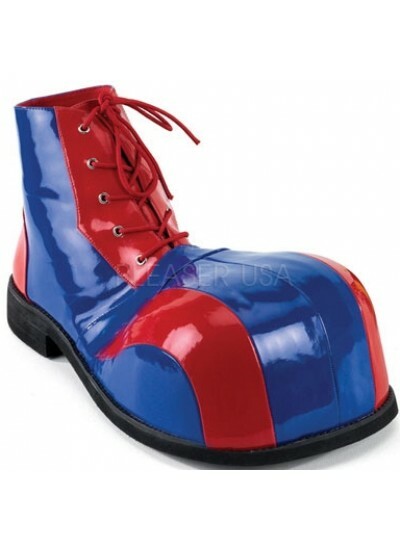 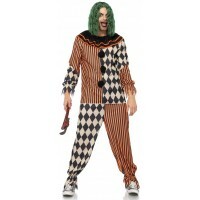 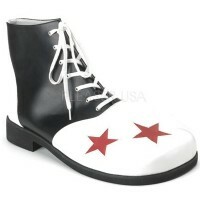 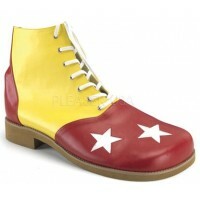 Oversized clown shoes are one size fits most adults with a 1-inch square heel and lace up front. 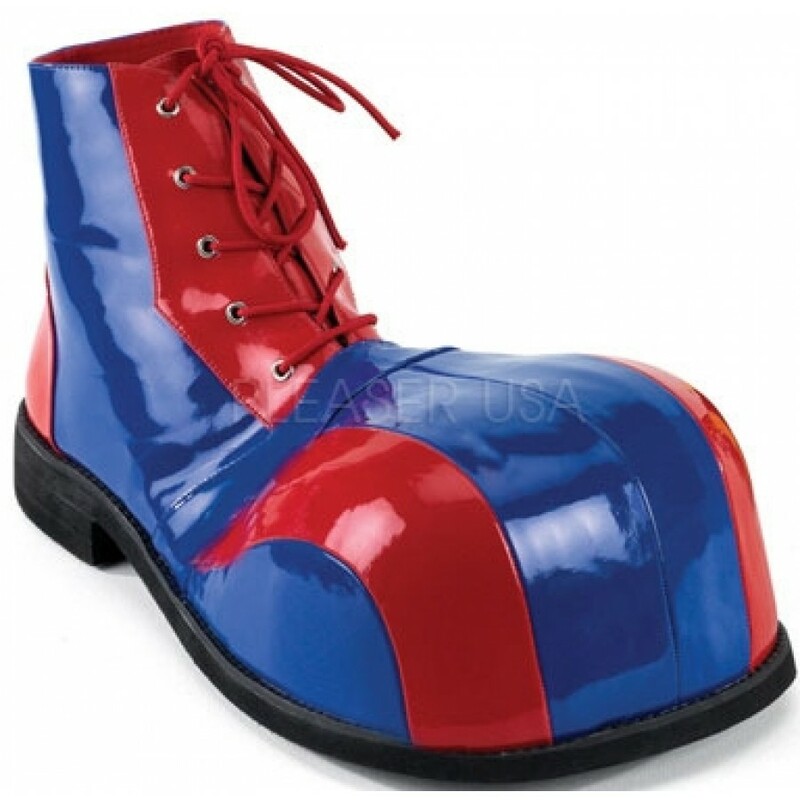 Item Number: PL-CLOWN-05 | Approximate Size (Inches): 12.00 wide x 14.00 deep x 8.00 high | Approximate Shipping Weight: 3.00 lbs.